Home / A Poet's Heart: Be Faithful To Your Dreams! A Poet's Heart: Be Faithful To Your Dreams! It’s 6:30am, Huruma Estate, 1998. My mother wakes me up to prepare me for school. It’s been raining lately and our dark one roomed house has some water trickling in from below the door. I am lazy to wake up and mama shouts my name for the second time and insists she won’t repeat it. That injects adrenaline into me and I quickly throw away my blanket after another wretched night on the sofa, the bed I had come to accustom my sorry back to. Father is already from showering. Mother has already prepared some ‘strong tea’ and rice for breakfast. I usually had to take it while standing because father was always hurrying me up. I’m a class 5 student at Mountain View School, just off Thika Road, near the United States International University. Father is incidentally my class teacher. I remember being voted to be the class prefect by my classmates but he refused to give me the honors, reasoning that father and son cannot be the rulers of a class. It would be taken as an outright case of nepotism. Even when the people have spoken? Well, story for another day. We dash out of the house. I say bye to mother. He holds my hand as we are greeted by a mean cold and a muddy terrain. Huruma is ugly when it rains. On this day, father does not have the fare to take us to school. So we take a long short cut through Mathare that is going to land us right on Thika Road just near Moi International Sports Centre, Kasarani, now renamed. I am with rubber shoes on, soaking much of the water we have to wade through. Walking with wet socks is irritating, but there is nothing I can do. I reach class, wet. My friends have been dropped to school by the school bus and others their parents’ cars. So I am the intruder who brings mud into the class. How embarassing. People stare as if asking themselves in their minds where the hell I live. I pretend to mind my own business but it’s sure disturbing me. I have to be strong. So what if I have mud on my shoes? It’s not my fault that I couldn’t come to school through better means. It is after this experience that father talked to the school principal to have me picked by the school bus henceforth. I don’t know if he had to bribe anyone. Or maybe he just spoke to the driver and told me otherwise. Fathers could do anything for their sons sometimes. In our rare deep talks with him (and he only says these things when he’s drunk), he tells me he wanted to be a lawyer. But his father had so many children and he couldn’t manage to take all of them to institutions of higher learning. He had opted to be a priest but grandfather could not give him up to the clergy. He settled for teaching instead. Getting a job then wasn’t as hard as it is today. He got me while he was 23 and mother was 20, after losing a first child. I am apparently supposed to be the second born. He has worked hard for our family, rising through the ranks to teach in one of the best schools on this land. And he always took me with him in each school he taught. I used to study for free, except for when he was at Masaai Girls. His search for greener pastures had me learn in seven primary schools. 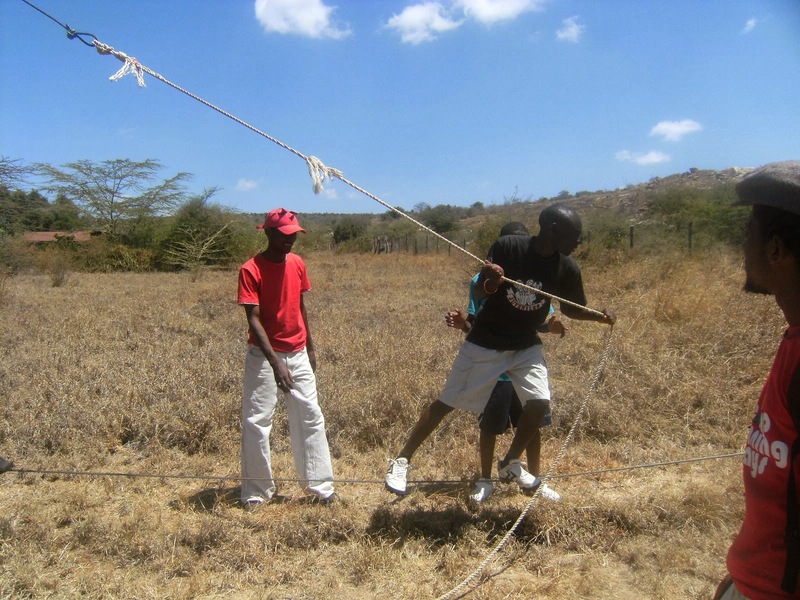 Yes – I begun at Athiriver Prisons Primary School, Kitengela, moved to St.Mary’s, Ongata Rongai, Bulbul Primary, Bulbul, then transferred to Masaai Boys, I hear it’s no more, then headed to Mountain View School, St.Mary’s Donholm, and then did my KCPE at Makini School. I’ll put up a post to recount what I went through having to be a new comer every now and then. 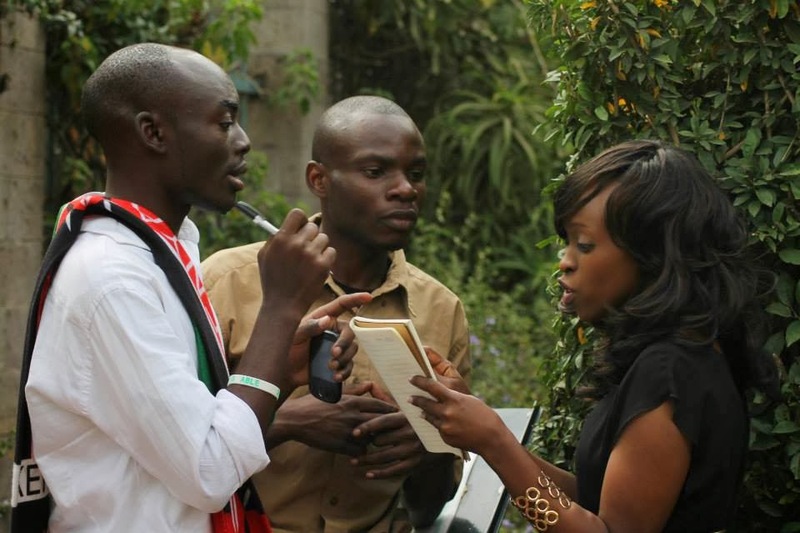 When I was a student as Pumwani Secondary School (PSS), one thing was for sure, I wanted to be a journalist. I was the Chief Editor of the Journalism Club and the school magazine, as well as the Clubs and Societies Captain. I wrote news that used to be read on parade days. I remember saving my snack money to buy the Friday newspaper so as to get some stories before parade time and giving my classmates a glimpse of what was happening outside school by passing on the different sections of the paper to the whole class. That time PSS was not fully boarding. I was among the last lot that included day scholars, but it eventually turned to full boarding when I was in my last year. I wanted to proceed to Daystar University after my KCSE to study Communication. However, I did not manage a C+ and the C stand was not good enough to have me admitted for an undergraduate programme in any university. Father wasn’t ready to pay for a pre-university course. That money wasn’t there. So life took me to Uganda, Bugema Adventist Secondary School, where I studied for my A Level. Life was opening up. There too, I met enthusiastic folks together with whom we begun The News Agency Club, for which I was elected Editor-In-Chief. Being in leadership positions while in school shaped me a great deal for the tasks that I was to meet later in my life, but little did I know. I came back to Kenya in 2009. In my mind, I would join university in late 2010. Father knew about my dream, that of becoming a journalist. I used to write it everywhere in my things. In fact, some friends still call me ‘editor’ to this day. I have a passion for telling stories and relating news with our day to day lives. University didn’t come as soon as I expected. I spent the whole of 2010 at home, joining Daystar University in January 2011, after dreaming for five years. A story I tell many who want to know about my life. Ironically, I did not sit for my end of semester exams in my first four months at the campus. Life took a rocky turn. My family became so unstable with fights at home and much confusion about what my fate would be. I did not know if I would ever go back to school. But poetry came to my rescue. Just like my father, I evolved with my circumstances. I had to do something with what I had – the gift of words. And it earned me respect in many places since my high school days. I’m considering dropping from university for the time being because I keep going on and off and it gets very demotivating. The issue of fees. I have something to do out here. Lots of things in fact. And even though it’s been hard to convince my folks the same, someday it shall get into them. I’ve gone through hell in Nairobi trying to have my place as a poet. With my father going mute after the situation at home, mother has been the only one supporting my hustle. She’s always been there giving me fare and the morale to keep going, till now I am able to stand on my own. It’s been a very sentimental journey. Meeting Chris Mukasa to make Kenyan Poets Lounge what it is today is surely God’s doing, and now with #FatumasVoice, every trouble I went through life makes sense. I was being groomed. All the walking, being rained on, lacking fare, hustling for performance slots, and what have you, had a purpose. I was being sharpened for the great cause. I am a great walker today, thanks to my father. Eric Onyango, Chris Mukasa and Faith Muturi Ngugi. A Poet’s Heart: Be Faithful To Your Dreams! Poetry has opened me up to many opportunities. The networks I have established and friends I have made in the art haven’t been because I own a university degree. It’s all a result of my talent. I remember walking in town some two months ago and the soles of my adidas shoes got totally worn out because of too much usage. You can imagine walking in town with a sagging sole. But I did it. I was proud of myself because I work hard, and it was part of my story. Staying in Athiriver, some 45 minutes from town, I arrive home as late as 1am, happy and sober. Mother handed me my own door keys and father stopped complaining about my late stays out. We don’t talk much, but these days, I do what I want and sleep where I want. I like being my own man. Next step is moving to my own place, it’s what I’m working for now. I did not stop dreaming to become a journalist. God just showed me a bigger picture. I have been to radio stations and I’m currently working at KBC (Venus 101.9fm) as a poet. I still tell stories and news but through poems. Just as words are limitless, so are my dreams. Colour In Faith: Which colour symbolises Faith, Hope and Love?